The blessing of hot spring source pouring forth. The panorama of hot waterfall and natural forest. The road to Okukinu from Meotobuchi. 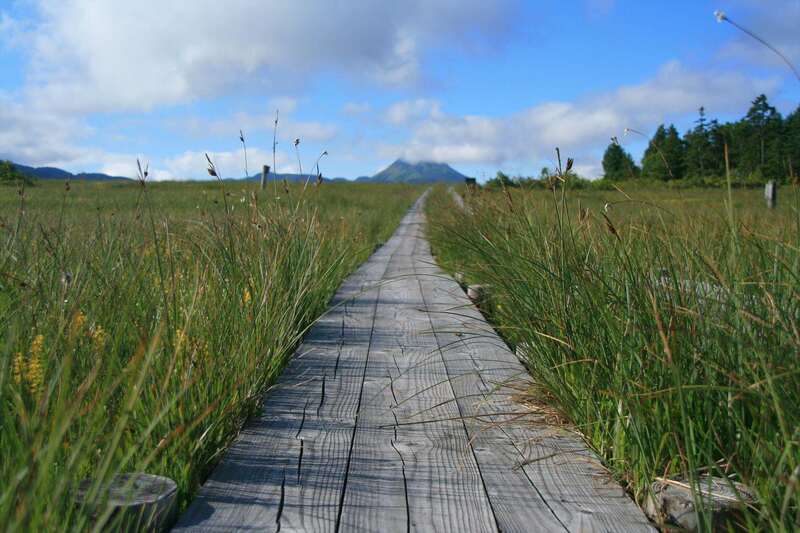 Enjoy the great nature trail along a mountain stream. 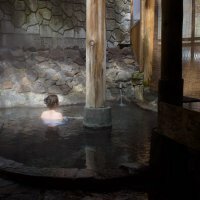 The last hidden hot spring in Kanto area. Obscurely standing in mountains of primeval forest at Okukinu. Futon Bedding Renewal And No-Smoking Rule Notice For All Rooms! 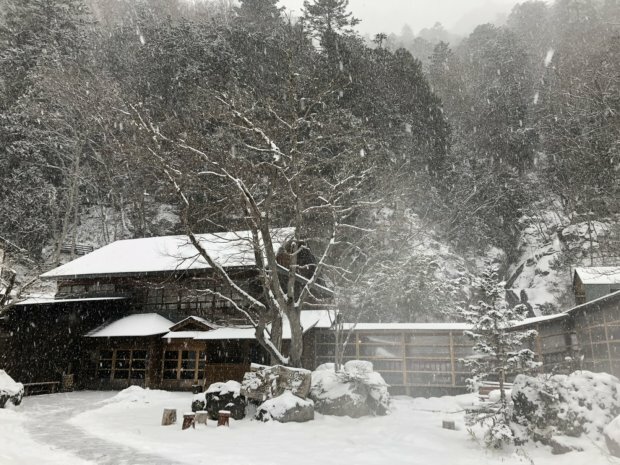 Hatcho-no-Yu is a mountain lodge located at an altitude of 1,300 meters. Please make sure to check weather conditions and transportation methods below in advance before your visit. 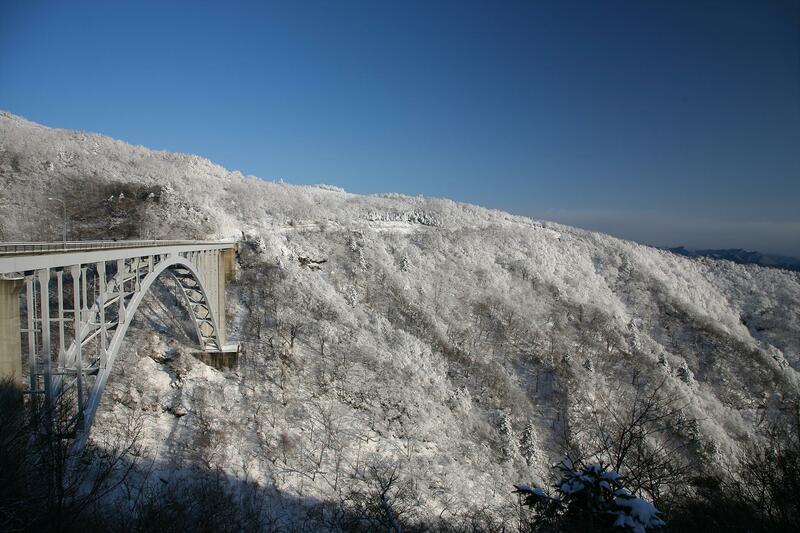 Private vehicles are prohibited to enter Hatcho-no-Yu because it is located inside Nikko National Park. We are afraid to trouble you, but please park your vehicle at the "Meoto-Buchi" free parking lot, then take a free shuttle bus from the Meoto-Buchi parking lot. 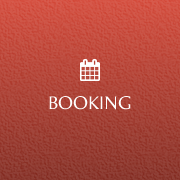 Since the advance reservation is required for this shuttle bus, please make sure to book your visit to Hatcho-no-Yu in advance. [ For Car Drivers and Motorcyclists ] Please make sure to set the destination of your car navigation system to "Meotobuchi Parking". 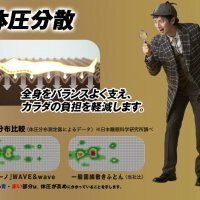 If you set "Hatcho-no-Yu" as your destination, you cannot arrive here because no directions appear on navigation systems. Also, please make sure check the below info before your visit. Surrounding Conditions as of June 11, 2018. Fresh hot spring source bath and one-day hot spring bath. The blessing of 100% fresh hot spring from natural hot spring source. 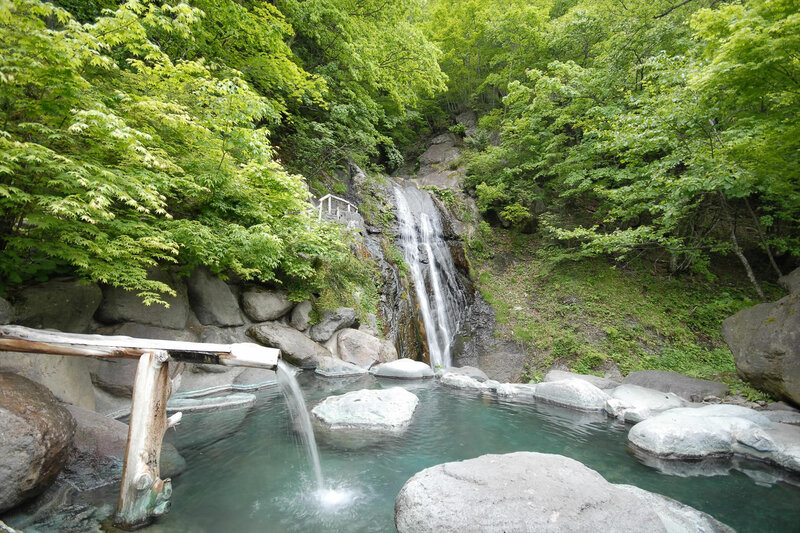 The panorama of outdoor waterfall-viewing mixed bath and natural forest. The mountain cuisine to enjoy full of local produce from mountains. 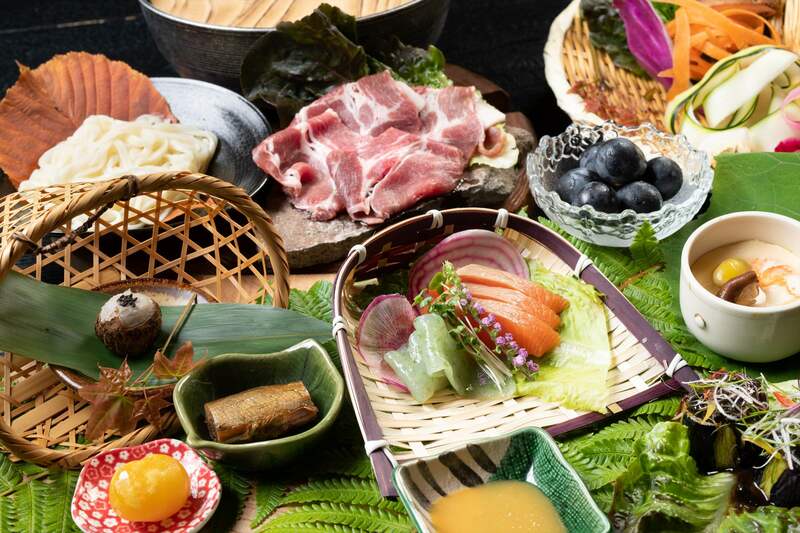 The simple yet flavorful local mountain cuisine made of Tochigi's regional produce. The log house and Japanese-style rooms. Two types of rooms. 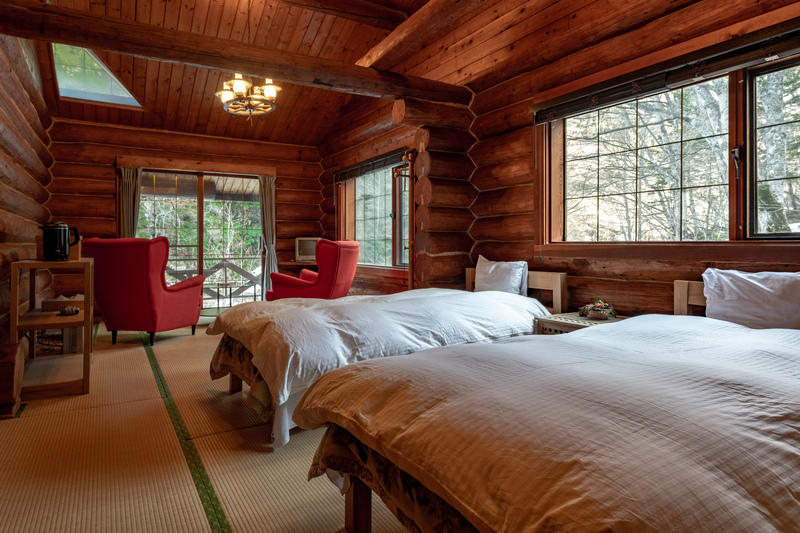 Stay in a spacious log house with high ceilings or a Japanese-style room with calmness and warmth. 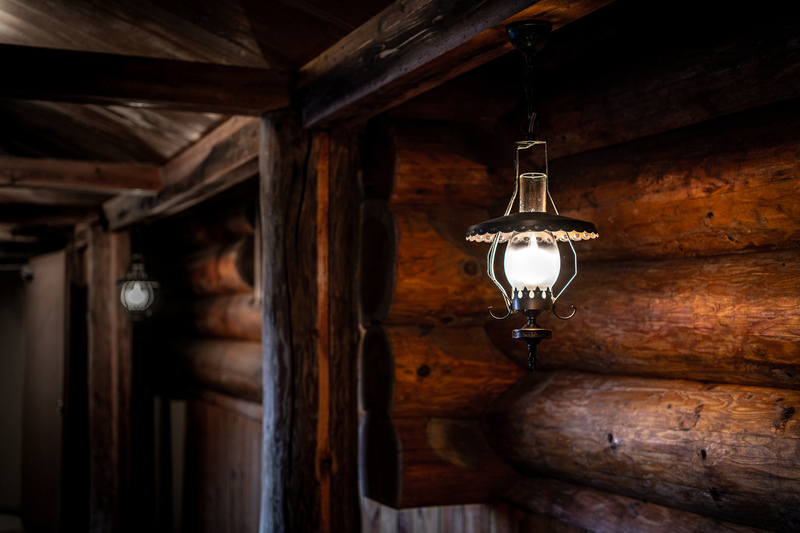 Hatcho-no-Yu used to be known as "Lodge of Lamps"
because there were no electric wires here until 1988.
but still lit by warm lamps selected carefully by the owner. How to enjoy this inn. 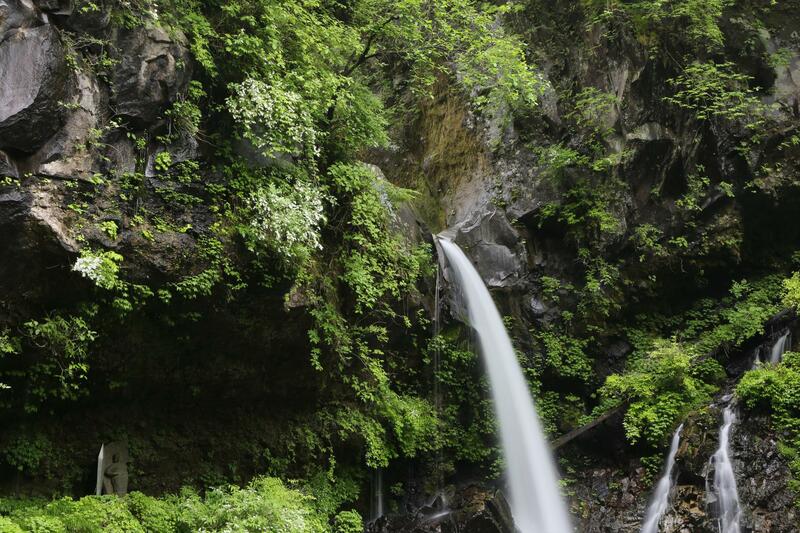 You can enjoy hiking right away from Hatcho-no-Yu. such as the magnificent nature and seasonally transfiguring trees, etc. 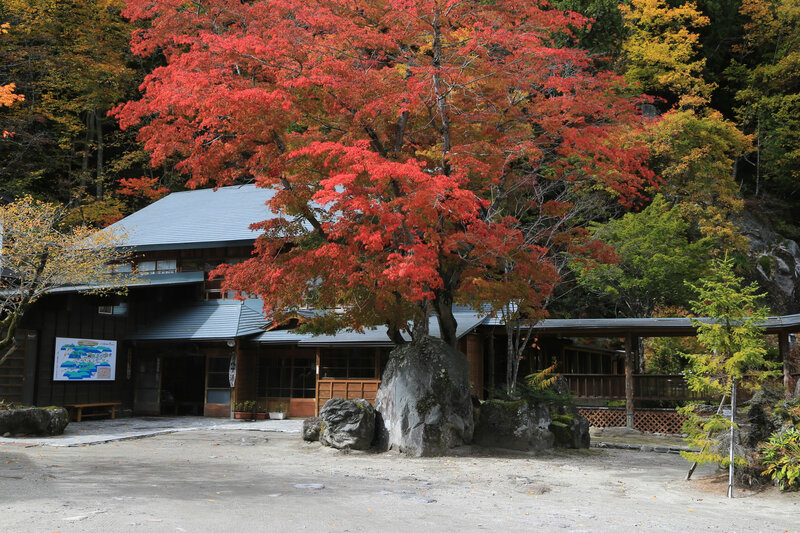 Surroundings of Hatcho-no-Yu are all picturesque how ever you clip it. 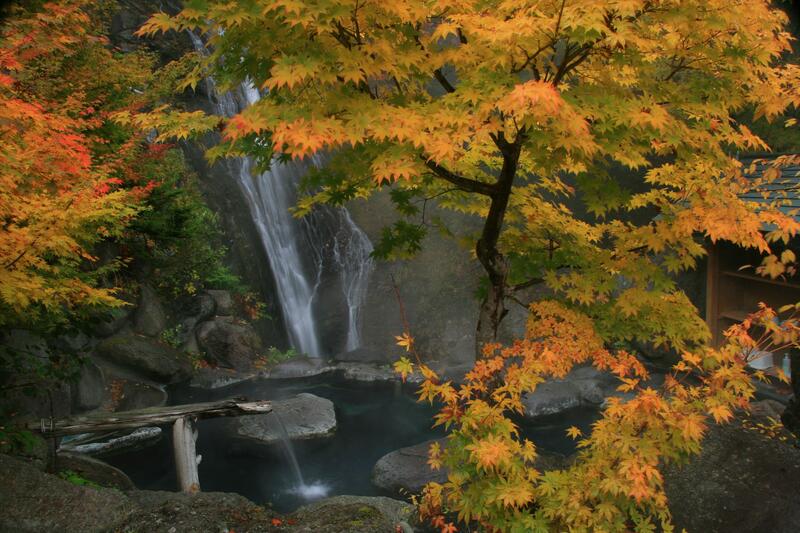 Indulge in pleasures of incredible nature of Oku-Kinu and Oku-Nikko. * The prefix "Oku" means "deep" or "inner" in Japanese. Copyright© Hatcho no Yu. All Rights Reserved.